Do you have a cool classic car or know someone who does? Saturday, August 5th in accord with Artspace’s ‘James Burton – Master of the Telecaster’ exhibit. We’re looking for classic cars to line the street in a nostalgic throwback to yesteryear. Prizes will be awarded for best in show! There will also be ‘street strumming’, a Q&A session with James and Louise sharing their memories of making the Roy Orbison concert film, “A Black and White Night”, after which the concert film will be screened in the middle of Texas Street. How cool? If you have a classic car, we’d love to see it on display. 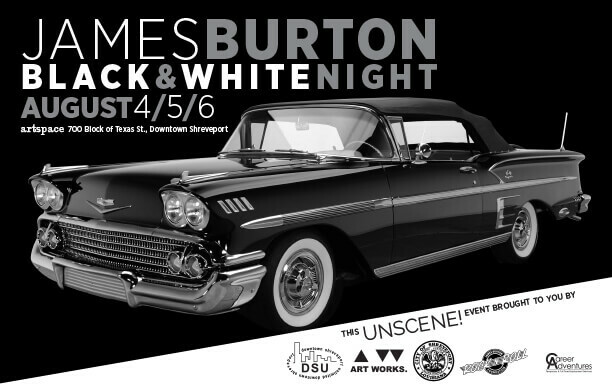 Make your plans to come down for this family-friendly event and support the James Burton Foundation and Artspace.